Born in White Plains, Dr. Rie has been in practice in our community for over 16 years. He is board certified in both internal medicine and nephrology. Dr. Rie graduated with a BA from Franklin and Marshall College in Lancaster, PA. He received his medical degree from New York Medical College. He went on to complete his residency training at Montefiore Medical Center as well as a fellowship in nephrology. He is a member of Alpha Omega Alpha Medical Society, a Fellow in the American College of Physicians/American Society of Internal Medicine and was awarded the Defense of Liberty Medal, New York State Guard in September 2002. 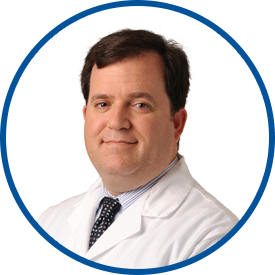 Dr. Rie is affiliated with White Plains Hospital Center where he formerly served as section chief department of nephrology. He is also affiliated with Greenwich Hospital. Dr. Rie is an extraordinary provider who is a real partner in my care. I've been his patient for many years - I feel safe and know he is thoughtfully managing my health. My two sons have transferred from pediatrics to *Dr. Rie. already told my friends .. Dr. Rie is the right Dr.
Dr Rie is exceptionally attentive & instructional in very reasonable time. It has all been very good. Dr. Rie always friendly and professional. He has my medical records available, asks poignant questions, and always asks if I have any new issues or questions> he takes the time to listen to me and always responds to my issues or questions in easy to understand terms. He is a pleasure to deal with and I walk away from my appointment well satisfied. doctor Rie is what an excellent physician should be. Dr Rie is the best Dr I can imagine. He's extremely knowledgeable/professional, friendly, takes time to carefully explain everything and never seems to rush the patient. I believe he truly cares about me. I am happy to have Dr. Rie as my primary physician. Dr. Rie is phenomenal--very thorough, kind and professional!! He provides excellent care to his patients!! Dr. Rie is an excellent professional, kind, engaging, and very through. Dr. Rie is an outstanding physician!